Can we be sure that the “organic” in the USDA Certified Organic seal retains its meaning and remains true to its mandate of assuring consumers that food under this label is truly healthy and grown or raised with minimal impact to the environment and respects the health and well-being of the workers and animals involved? There are growing concerns that the organic label may be losing its meaning. What is fueling such concerns? Considering that hundreds of high resolution photographs, satellite imagery and state regulatory documents were submitted to the NOP, one would have thought that the doubts raised by this compelling body of evidence would have at least motivated some type of investigation. For the NOP to not even investigate these facilities means one of three things: 1) the personnel who made that decision are inept, 2) they are too close and friendly with corporate lobbyists and multimillion-dollar certifiers that are involved in the process, or 3) the most likely scenario, corrupt politicians are preventing them from enforcing the law. The one possible scenario that Englebert did not offer as an option: all of the above! What does “business as usual” mean? It means making money at all cost, regardless of the impact to the integrity of the organic label or to people’s lives. This is well-exemplified in a recent Frontline episode, “The Trouble with Chicken,” which aired on PBS May 12, 2015. The program closely examined a deadly outbreak of salmonella which had spread over 29 states and gone unchecked by the USDA for 16 months. This largest salmonella outbreak in US history occurred in 2013. 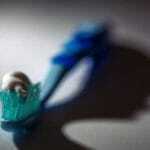 It was linked to Foster Farms, the largest poultry producer on the West Coast. Although over 600 people became seriously ill, the USDA failed to force a recall for almost a year and half after the onset of the outbreak because salmonella in chicken is not legally considered an “adulterant” – as is the deadly strain of E. coli, 1057:H7, when it contaminates beef. It’s no coincidence that the poultry industry fought long and hard against efforts to regulate deadly strains of salmonella the same as E. coli. It appears that making money was more important than the lives of the people threatened by this outbreak. Below is a video clip from “The Trouble with Chicken” of Congresswoman Rosa DeLauro grilling USDA Secretary Tom Vilsack. DAVID E. HOFFMAN: Did the Obama administration ask for more authority? DAVID E. HOFFMAN: Why not? Rep. ROSA DeLAURO: I still I believe that there’s a question of the — of the industry. It’s a very powerful industry, and I believe they have a very strong lobbying effort that the USDA is not willing to buck. 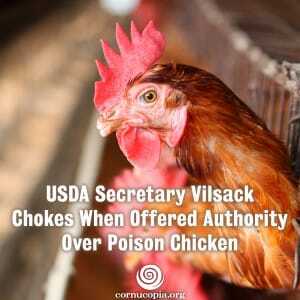 Thus, this incident seems to clearly illustrate that USDA Secretary Vilsack has allowed powerful agribusiness lobbyists influence the USDA’s enforcement actions, as have most of his predecessors appointed by presidents of both political parties. The National Organic Program is a very small part of the USDA, but a number of large corporations are significantly vested in organics, especially the processed food industry (General Mills, WhiteWave, Smuckers, Coca-Cola, etc.). Circumstantial evidence makes it reasonable to conclude that the same type of undue industry influence that appears to have prevented Vilsack and the USDA from acting quickly to end the Salmonella outbreak and limit the health toll is behind efforts to dilute the federal organic standards, control the NOP leadership, and limit or obstruct the ability of the congressionally authorized National Organic Standard Board from doing its job efficiently and with integrity. 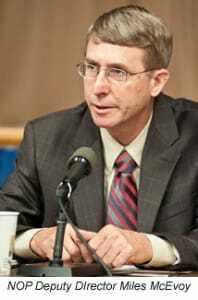 Here is a telling example: When Miles McEvoy, the chief of the USDA’s National Organic Program, was asked in a recent Washington Post interview if organic food is safer and healthier than conventional food, he would not answer, stating that the NOP is a regulatory program and thus the question is not relevant to his role. However, these requirements were established to ensure healthier and safer food or food products, and considering that the NOP was put in place to ensure that the organic label meets the organic production requirements, the implication is that organic food is safer and healthier, otherwise the NOP would not exist! It is disturbing that the chief of the USDA’s organic program refuses to state the obvious, but the underlying truth is that he could not make such a statement. 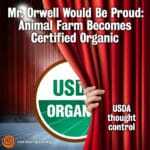 The USDA, run by appointees of the Obama administration, oversees conventional agriculture in the US and is, seemingly, uncomfortable promoting organics. Actually, this isn’t anything new. During the congressional debate, running up to the 1990 farm bill, the USDA testified before Congress stating that they didn’t want any part of regulating the nascent organic industry (the Organic Foods Production Act of 1990 passed without the agency’s support). It would be appropriate for the organic program to be a cheerleader for organics. 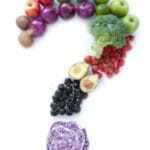 After all, the NOP is part of the USDA’s Agricultural Marketing Service (AMS), the agency’s marketing branch tasked with the international promotion of various American agricultural commodities, including genetically engineered food. But under the USDA’s apparent gag order, the NOP cannot acknowledge that food grown without poisonous chemicals might have societal or environmental benefits. Which brings us back to the USDA and food safety. It is safe to assume in light of its failure to address the 2013 salmonella outbreak that the USDA is a captured agency. Instead of acting in the public interest, it advances the commercial interests and agendas of interest groups, such as those of the chicken industry in the salmonella outbreak. Would that influence extend to the National Organic Program? It does without a doubt. To start with, “independent” NOSB board members are appointed by the Secretary of Agriculture and as a result of a corrupt process, in recent years the board has been stacked with agribusiness operatives, as described in the Organic Watergate report by The Cornucopia Institute. For example, Congress set aside four seats on the 15-member board for farmers who “own or operate” certified organic farms. Currently sitting on the board is an employee of Driscoll’s, the giant California berry producer (mostly conventional), and an executive with Vital Farms, a national egg distributor that contracts with farmers to produce their conventional and organic eggs. It’s no coincidence that their voting records on the NOSB radically differ from the two, legitimate, working organic farmers on the board. Then in 2013 several actions were taken unilaterally by the NOP without public notice or opportunity to comment that radically changed organic governance and favored corporate influence. Basically, the NOP limited the National Organic Standards Board’s ability to provide independent advice to the Secretary of Agriculture and took various actions that were designed to minimize and undermine the overall influence of the board. USDA bureaucrats further squashed the NOSB’s ability to determine its own work plan and set its own agenda. On September 16, 2013, the NOP arbitrarily and unilaterally imposed radical changes on the way the Sunset Review process was being conducted, which resulted in a significant weakening of the role played by the National Organic Standards Board in maintaining the integrity of the organic program. Congress originally mandated that the NOSB, every five years, at “Sunset,” reviews all synthetic and non-organic materials allowed for use in organics. Under the changes, it is now nearly impossible to remove any of these approved synthetic and non-organic materials — even if healthier or safer alternatives are developed. The agribusinesses that have invested in organics are now, effectively, in control. Such changes not only threaten to water down the organic standards and to significantly decrease the public trust in the organic label, but favor the corporate organic industry, an industry that wants to minimize any modification to its way of doing business even if doing so may potentially impact public health. Thus, the USDA did it again! The corrupted agency bowed to the influence of the corporate organic ag and food industry, just as they have looked the other way on a myriad of other food safety concerns, to ensure that the industry’s interests would be protected first, ahead of public interest and health. For the full “flavor” of the tainted chicken scandal, and the tainted regulators that have overseen the process, we encourage you to view the full video on the NPR website. Below is the transcript from the previously noted excerpt from “The Trouble with Chicken” concerning the USDA’s decision to put industry interest ahead of public health interests. Rep. ROSA DeLAURO (D), Connecticut: Why does USDA refuse to consider multiple-resistant salmonella as an adulterant, the same way we do as E. Coli 1057:H7? TOM VILSACK: We attempted to do what you are asking us to do relative to salmonella and adulterants, and we were basically told by the court that we did not have the authority or the jurisdiction to do that. Rep. ROSA DeLAURO: I asked Secretary Vilsack in a hearing— when he said they didn’t have the authority in the hearing, I looked directly and him and I said, “Well, ask for the authority.” Ask us for the authority. Rep. ROSA DeLAURO: Ask us for the authority! Re. ROSA DeLAURO: I’m serious. Rep. ROSA DeLAURO: Thank you, Mr. Chairman. Thank you, Mr. Secretary.